It is no surprise that chia seeds are considered to be one of today’s superfoods. They are rich in omega-3 fatty acids, protein and iron, boost your digestion and are a good alternative to flaxseed. The remarkable thing about chia seeds is that they expand when combined with liquid – as in this delicious breakfast recipe. 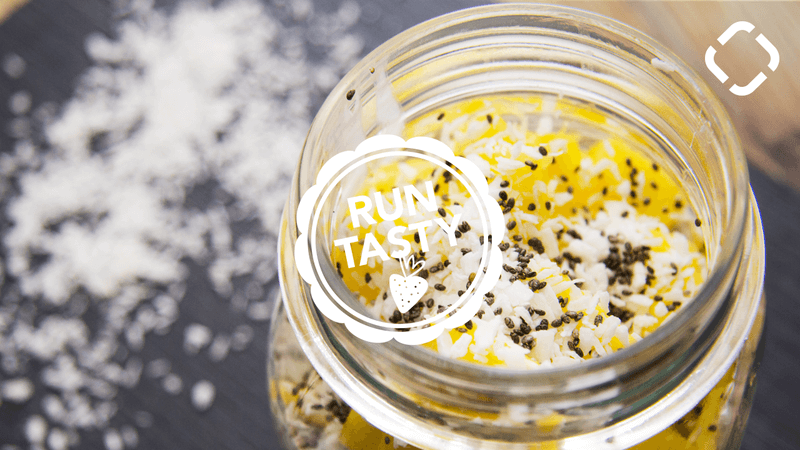 Simply mix together coconut milk, chia seeds, vanilla and honey to form a creamy chia pudding and top it off with fresh mango and coconut flakes. Mix the coconut milk with the chia seeds, honey and vanilla powder in a jar or a bowl. Cover the container and put it in the refrigerator for at least 20 minutes (or overnight). Stir occasionally. The chia snack is ready when it has reached pudding consistency. Cut the mango into small pieces and arrange them on top of the pudding. Sprinkle with coconut flakes. One serving contains 420 calories, 38 g of carbohydrates, 7 g of protein and 22 g of fat.